Hey, a bathing suit parade at the Venice with female Judges! The wire wheels on the Model T roadster help narrow it down just a little more to Jan 1926 or later for the car. Ref: http://www.mtfca.com/encyclo/U-Z.htm#wheels Wire wheels, introduced in January 1926 in black only at first, then in several colors, became optional. I'm confused (which isn't hard to do). The sign says $1.oo wash open...$1.50 closed. Are they referring to the style of car? They charge $.50 more for a hard top or enclosed car. Yeh Dennis...my first mili-second thought was, an extra 50 cents when the car wash is closed!? !...then I realized they meant Touring, vs. closed cars. 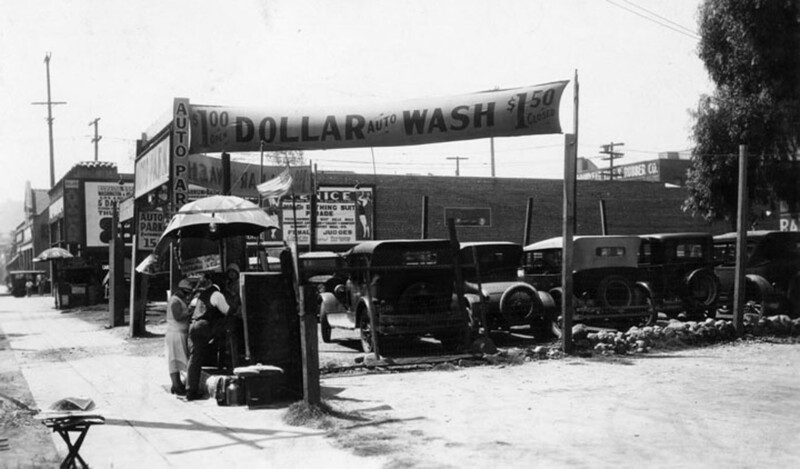 LOL...but, ya know, $1 back then was quite a bit of money to have your car washed, I think. Cripes, if I work fast enough (which I can't anymore) I could do my car at the U-do-it for a buck. 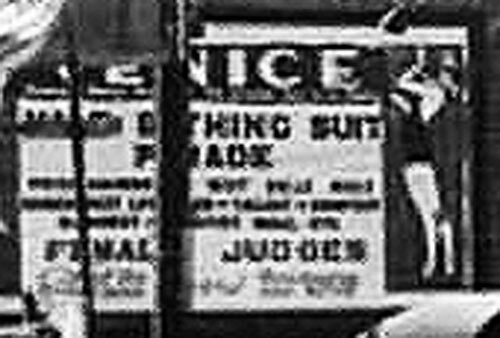 Debate about the year of the Roadster and the price of a car wash, I want to know more about the "Bathing Suit Parade". Too late! You missed the parade by about 85 years!